Living in the United States, you may have noticed a common feature on the American roadway: the SUV. If it seems like there are more SUVs than ever before on the road, you would be right in this assumption. The SUV and its smaller variant, the crossover, have been dominating the American auto market for the last five years, and SUV sales are only increasing. However, many people may be reluctant to switch to an SUV because they don’t want to give up on luxury features just to have more space. That’s why Buick SUVs are the right choice for almost every driver; they combine the luxury you want with the capability you need. But before the SUV dominated the American auto market, it was the station wagon. However, the station wagon has been slowly dying off in previous years. There’s really only one station wagon left, and it’s technically a Buick SUV, the Buick Regal TourX. The TourX is the pinnacle of luxury, style, and capability; it gets you and your family where you need to go in style. To truly understand the TourX’s place in history, we must look back to the development of the station wagon over time and how it has transitioned into this luxury Buick SUV. If you have grown up in the United States, it more than likely that either your family or the family of someone close to you had a station wagon. They were the iconic American family car for a long while. After all, the station wagon was featured in several famous films and television shows, including The Brady Bunch, Ghostbusters, When Harry Met Sally, Mr. and Mrs. Smith, and The 40-Year-Old Virgin. But what is a station wagon, exactly? After all, the examples from all of these films and shows look totally different from one another. As it turns out, each car company has a different idea of what makes a station wagon a station wagon. The station wagon has more variants than any other type of vehicle, and manufacturers may even call them by different names, like estate car, break/brake, shooting break, wagon, carryall, suburban, variant, weekender, sportwagon, kammback, and squareback. As you can see, the humble station wagon goes by a lot of different names. Despite the many different names and variations on body styles, the purpose of the station wagon remains the same for every iteration: to carry a lot of people and a lot of stuff. The beginning of the station wagon has roots in the beginning of cars themselves. The first vehicles we would recognize as being station wagons evolved out of the original Model T and were made of custom wood and used to transport people to and from train depots. Hence, the name “station wagon” came in to being. The first commercially produced station wagon was the 1923 Star, and with it, a new niche in the industry was born. What Killed the American Station Wagon? It seems that, to an extent, the SUV had its role in killing the station wagon, which is what the marriage between Buick SUV and wagon so unique. When the Subaru Outback was released in 1994, before SUVs were really a thing and definitely before their huge popularity, many people flocked to this new style of vehicle because it had everything the station wagon had plus all-wheel drive and a taller ride height. The station wagon largely fell by the wayside as companies began to produce cars to compete with the Outback. While station wagons were originally the car for the middle-class family, they have evolved into a luxury vehicle over the years. So where does the Regal TourX fit into all of this? 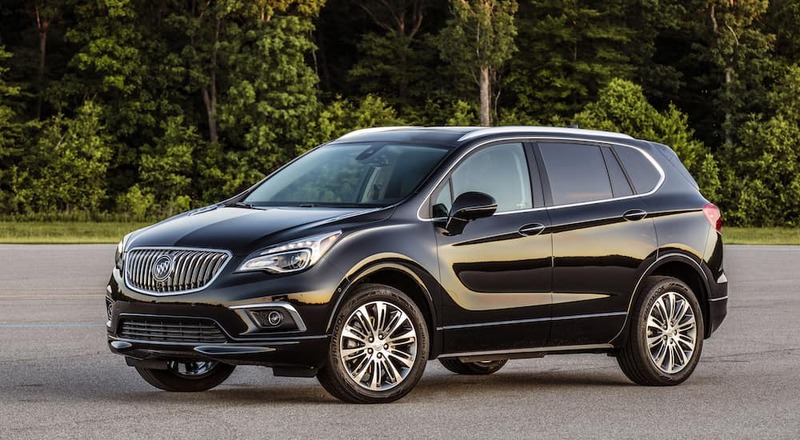 It’s technically a Buick SUV, but it’s also a station wagon – sort of. The Buick Regal TourX is the only station wagon available for purchase from an American manufacturer. It’s long and roomy like the station wagons we all know and love but with the rugged styling of an SUV. It has the ground clearance of a sedan but comes standard with all-wheel drive, a roof rack, and plenty of room for both passengers and cargo. A serious blend of SUV and station wagon, the Buick Regal TourX is a force to be reckoned with. The Buick Regal TourX comes standard with a 2.0-liter turbocharged four-cylinder engine with 250 horsepower, 295 lb.-ft. of torque, and stop/start technology to increase fuel economy. The engine is paired with an eight-speed automatic transmission. 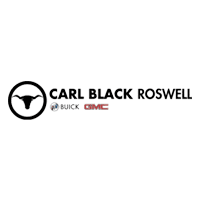 Of course, the all-wheel drive and five-link rear suspension give it a smooth ride no matter what the terrain is like, and the StabiliTrak technology included also helps keep the vehicle steady and stable during rough driving conditions. For all that power, you also get a decent gas mileage: 21 in the city and 29 on the highway. The exterior includes the rugged design cues from previous generations of station wagons, so you know that this baby means business. Standard roof rails and available cross bars allow you take all of your gear right along with you, even items as big as bikes and kayaks. There’s a convenient hands-free liftgate to make packing up easier, and an available panoramic moonroof to truly enjoy all that the great outdoors have to offer. Never worry about roughing it on the road, as the Buick SUV comes with 18-inch aluminum wheels and tough moldings that help protect your vehicle. Available signature LED lighting, and standard keyless entry make the Regal TourX the envy of everyone around you. The interior design of the Regal TourX maximizes space without minimizing luxury. The wagon can carry up to five people, and it has a whopping 73.5 cubic feet of total storage space. The interior is also crafted from soft premium materials that feel luxurious and prioritize your comfort. Available leather-appointed seating will elevate the luxury and comfort in the vehicle. The available dual-zone climate control will only further increase your comfort without sacrificing the comfort of your passengers. QuietTuning technology uses triple door sealing, acoustic laminated windshield and front side glass, and specific suspension tuning to keep the inside quiet – perfect to enjoy conversation, music, or podcasts. Really enjoy that music with the available Bose premium audio system. Stay connected to matter where you with all of the technology features packed into this Buick SUV. Utilize the Apple Carplay and Android Auto capabilities and the available 4G LTE Wi-Fi hotspot to keep your busy life in sync every step of the way. Likewise, never worry about your devices running out of power with the available wireless charging capability. Put your devices in the slot in the center console and let the car do the rest. The Buick infotainment system also lets you play music, make hands-free calls, access maps, get directions, and more.